In last week’s Weekly Gist, I shared an exchange I’d had with a physician leader during a recent talk at a health system board meeting. He expressed concern about taking on the challenge of end-of-life care in the context of bearing risk for Medicare costs. His question: “How can we lower cost of care and take on Medicare risk if we spend so much money on futile care? And how will this situation ever change without a “national conversation” about the end of life?” As I shared, in my view a more rational approach to end-of-life care can only emerge if doctors and patients start to work together on planning for the end of life, years before the critical decisions have to be made. Dr. Jordan Asher is Senior Vice President and Chief Physician Executive at Sentara Healthcare. His role concentrates on creating innovative models of care delivery as well as providing national thought leadership directed towards the future of health care. He oversees system-wide Clinical Quality and Safety, Clinical Effectiveness, the Sentara Quality Care Network (SQCN), the High Performance Design process and Clinical Performance Improvement initiatives. Before joining Sentara Healthcare, Jordan served as Chief Clinical Officer for Ascension Care Management (ACM), a subsidiary of Ascension. Prior to ACM, Jordan was Physician Network Executive for Saint Thomas Health in Nashville, where he led the implementation and design of physician alignment strategies. 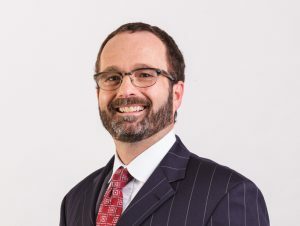 In addition, Dr. Asher served as the Assistant Dean and Interim Clinical Chair of Medicine at the University of Tennessee Health Sciences Center. Dr. Asher holds an M.D. from Vanderbilt University, as well as a Master’s of Science in Medical Management from the University of Texas. Gist Healthcare: You’ve been spending some time thinking about end of life care, and how to change the way we approach it. What do you think needs to change? Are there any promising models? Dr. Jordan Asher: I think we need to start from the premise that we should not wait until the end of life before having the discussion. Having such conversations during times of health versus illness is important. We also need to include the entire community in the dialogue. The topic should be addressed not just in PCPs’ offices, but also in churches, temples, mosques and anywhere else where communal conversations about personal issues take place. And the discussion should be coordinated across the community. For example, in 2011 Sentara Healthcare collaborated with Bon Secours, Chesapeake Regional and Riverside Regional to form the Advance Care Planning Coalition of Virginia. Other partners included Area Agencies on Aging and Eastern Virginia Medical School (EVMS). This has expanded into a state-wide Coalition. The California Coalition for Compassionate Care was the inspiration for building our Virginia program. We are a long way behind California, but in time we believe we can get there. Advance Care Planning (ACP) discussions and the incorporation of end-of-life wishes into care plans must be happen at every level of service and be discussed on a regular basis. ACP should never be targeted just to those with a limited life expectancy. We also need to remember that these conversations can be conducted in different settings by many different types of caregivers. Expanding the location and settings where these conversations occur and broadening the range of caregivers who can engage in such discussions will help create the space needed to overcome the present stigma associated with the issue. The role of ambulatory palliative care is crucial within this context. GH: End-of-life is a difficult time for patients and their families, but it can be hard on physicians as well. Any thoughts on how to make the process more sustainable for doctors? JA: Long term, we need to include developing communication skills into our medical school curricula. We teach individuals how to be good doctors, but we never teach them how to be good communicators. Redefining success is also required. Since physicians are trained to diagnose and treat in order to prevent death, having conversations concerning end-of-life matters is counter-intuitive to our core function. Success should be defined as enhancing “life” for those we serve, which includes conversations around death as a natural part of the life-cycle. We must balance the instinct to treat and provide care with the desires of those we serve. If we adjust our perspective, the joy of service will return and enhanced shared decision-making can take place. About 15 years ago, Sentara collaborated with EVMS to build a “Life, Death and Dying” course into their curriculum for 3rd year med students. The first year they gave us 2 hours. Second year, a half day; and by the third year the course had expanded to three days, including lectures and breakout sessions with patient simulations. Unfortunately, the course was discontinued for budgetary reasons and needs to be reinstituted. For those already in practice, ongoing conversations concerning our internal biases and points of reference are required to adjust our lenses. GH: You’ve spent years building population health organizations. Where does end-of-life fit into the broader range of issues that a risk-bearing provider practice needs to get right? JA: For those in risk-based arrangements such as Medicare Advantage and two-sided MSSP, these conversations become even more important because end of life care can be costly. I believe these risk-based arrangements will foster such conversations in a manner that supports shared decision-making and clinical appropriateness. Value-based payment models are an attempt to tie payment to value which has the components of quality (both clinical and patient-defined outcomes), service, and cost. One of my mentors put it best: “How would I want my loved one treated if I had to pay for it?” This forces us to think about the relationship between treatment and cost for those we love, just not others. Avoiding such conversations with those we cherish leads to unintended consequences that could be avoided if we took the time to have these discussions. GH: We keep hearing that we need a “national conversation” about end-of-life care. Who will lead that conversation? Any public thinkers or writers we should be paying attention to? JA: Several have tried—Bill Moyers and Atul Gawande come to mind. But this needs to be a participatory conversation, not a topic for just thought leaders to “teach us” about. How do we make it acceptable and “cool” to talk about such issues? A pivotal point for me was when I read When Breath Becomes Air by Paul Kalinithi. Dr. Kalinithi made a statement “that doctors need hope too”. This hit me right between the eyes and caused me to really think through why physicians might struggle with such conversations. For me, I have redefined success as delivering treatment in a manner desired by those I serve, thus filling my “hope bucket”. We should all remember that to maintain balanced and healthy relations, we must focus on the needs and desires of others while simultaneously fulfilling our needs.